Microimaging techniques with synchrotron radiation demand fast, on-line x-ray detectors with a spatial resolution in the micrometer or submicrometer range. For this task an x-ray detector based on a transparent, i.e., nonscattering, luminescent screen has been developed. Its performance is described experimentally and theoretically. The detector consists of an Y3Al5O12:Ce screen, microscope optics, and a low-noise CCD camera, operated at x-ray energies between 10 and 50 keV. 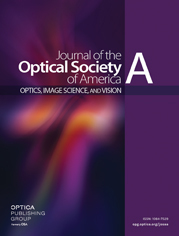 Good image quality is achieved if the depth of focus of the optical system is matched to the x-ray absorption length or thickness of the scintillator. A spatial resolution of 0.8 µm fwhm (1000 line pairs/mm with 10% contrast) was measured by recording the interferogram of a boron fiber. First applications in phase contrast imaging and microtomography are shown.